The first film I’ve watched as part of my 30-before-30 classic film challenge is the 1968 classic horror Night of the Living Dead. The fiance and I stumbled upon the film’s opening credits one night last week while watching television and we were both quickly drawn in. I thought I was going to turn it off. I expected to find the violence and gore corny, and lacking the realism of contemporary horror films and shows like The Walking Dead. I was so wrong. I found Night of the Living Dead scary and disturbing. It would definitely have been a subversive film at the time of its release. 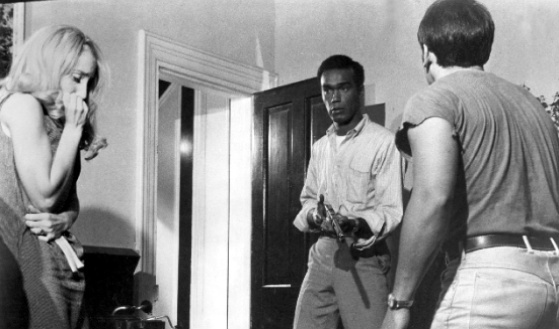 George Romero’s Night of the Living Dead is critical of 1960s American society, race relations and the patriarchal nuclear family. The only heroic figure in the film, Ben, is African-American. It is Ben’s depressing fate that elevates the film to a different league — *spoiler alert* — that Ben survives the zombie siege just to be killed at the end by a redneck with a shotgun is more disturbing than all the carnage of the rest of the film. Ben’s meaningless death suggests a world where no justice is to be found — death is relentless and random. The Nihilism of that is more deeply disturbing than any boogeyman dreamed up by Romero. Women don’t fare particularly well in this film either. The lead female character, Barbara, appears catatonic for the majority of the film and seems incapable of taking even basic steps to save her own life. This film stuck in my mind for a long while after I watched it, unlike the vast majority of films I watch these days. It was a great first ‘classic’ to kick off my challenge and a reminder that a great horror film doesn’t need modern special effects to be truly disturbing. 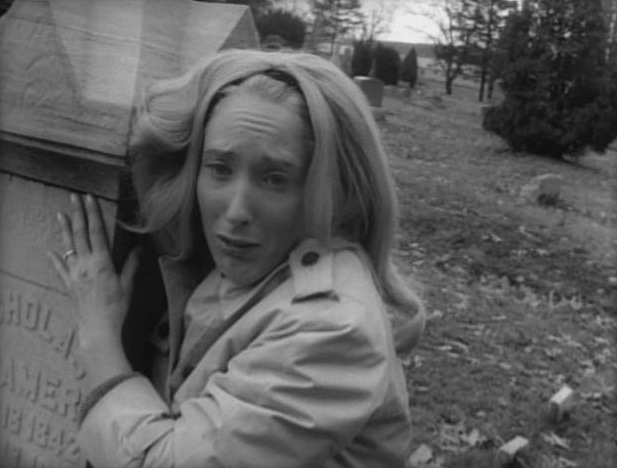 Night of the Living Dead really holds up 45 years after its first release. « #7: Finish the 30-day hot yoga challenge – CHECK!